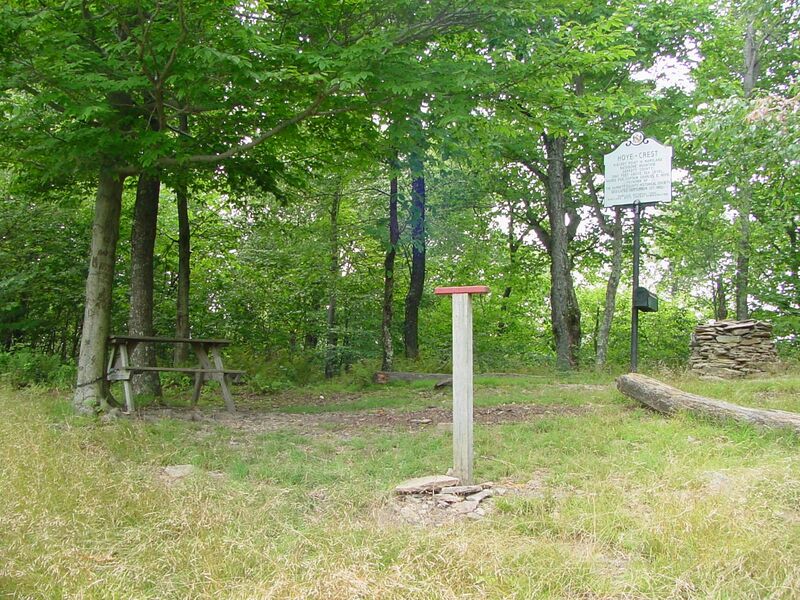 Additional Description: The cairn of stones on the right next to the marker marks the highest point in Maryland. Mailbox on the marker shelters a guest book and a stack of blank certificates. A notice on the door of the mailbox requests visitors to sign the guest book take a certificate as a memento of their climb. The camera stand is in the foreground and the picnic table can be seen on the left. Submitted: August 6, 2006, by J. J. Prats of Powell, Ohio.